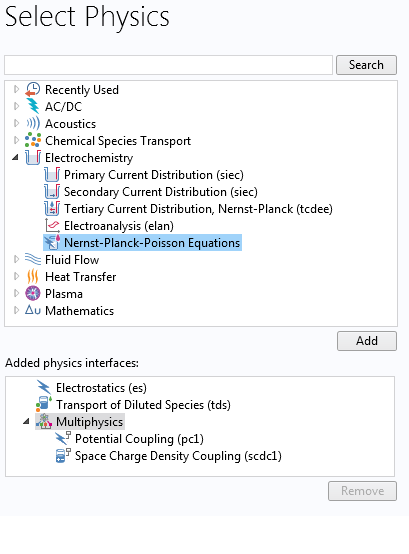 For users of the Corrosion Module, COMSOL Multiphysics® version 5.2a brings a new External Short boundary condition that is useful for corrosion protection problems that involve interconnecting large, electrochemically active objects. 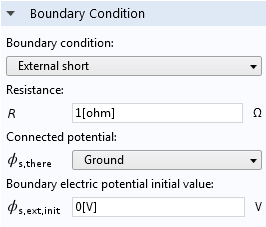 Additionally, a new tutorial model studies how the cathodic protection of a monopile device decreases as its sacrificial anodes dissolve over time. Review all of the updates to the Corrosion Module in more detail below. The Porous Electrode and Edge Electrode nodes now support the addition of Film Resistances and Dissolving-Depositing Species. Previously, this was only supported in the Electrode Surface feature. 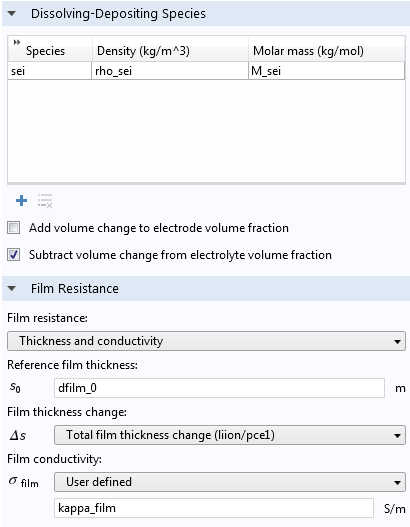 Film resistances and dissolving-depositing species in porous electrodes can, for instance, be used to model solid-electrolyte-interphase (SEI) formation in lithium-ion batteries. A monopile foundation is a large-diameter structural element that can be used to support structures like offshore wind turbines. This application exemplifies how the cathodic protection of a monopile decreases over time as the sacrificial anodes dissolve. 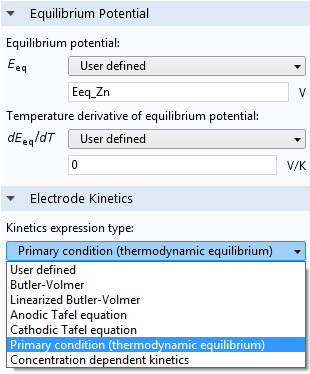 The model can be used to evaluate secondary current distribution electrode kinetics on the protected steel structure by taking into account the simultaneous electrochemical reactions that lead to metal dissolution and oxygen reduction (mixed potential). The monopile geometry consists of an upper component with a coated steel surface and a lower uncoated steel pipe. It is also surrounded by either seawater or mud, with differing Tafel expression reaction kinetics used for these different environments. 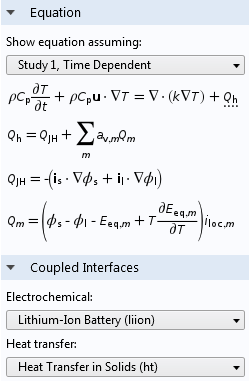 The tutorial model is solved using a time-dependent study for a time period of 12 years. 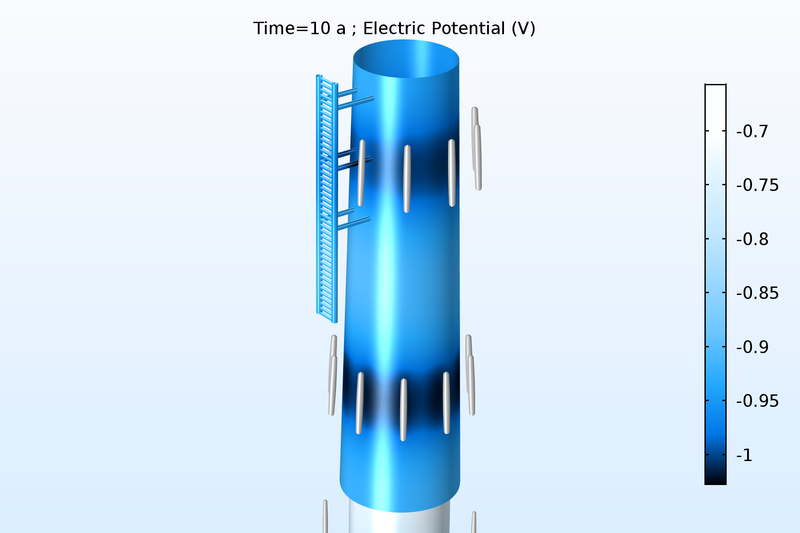 Two cases are investigated: when the whole monopile is grounded, and when the transition piece is grounded and the lower pipe is connected to the transition piece through a lumped resistance. The model also uses the new customized Sacrificial Edge Anode subnode for modeling slender sacrificial anodes along geometric edges, which is now available in the Secondary Current Distribution interface. The subnode enables you to model the changing cathodic protection properties of the anodes as they dissolve in time-dependent simulations. 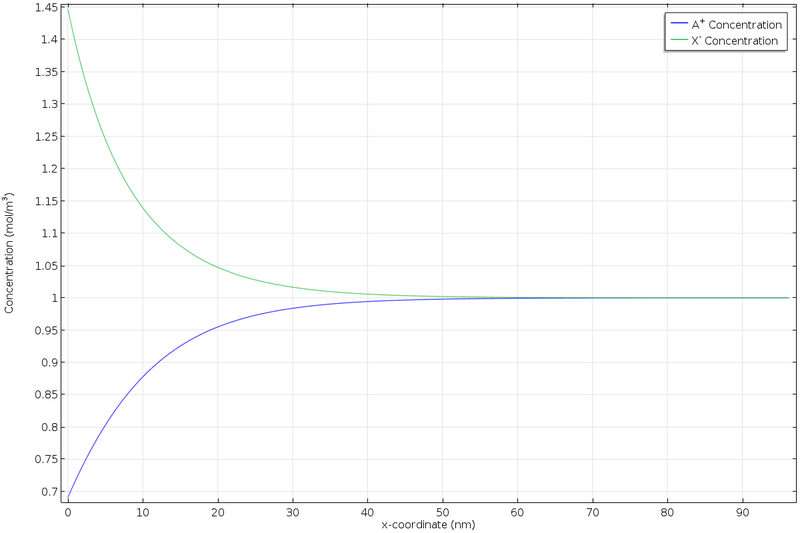 The electrode surface potential of the upper part of an offshore wind turbine foundation (monopile). The surrounding sacrificial anodes dissolve, reducing the cathodic protection capabilities of the installation over time.